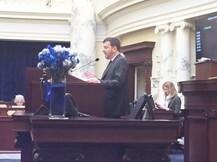 The Canadian Consulate speaking to the Idaho House of Representatives. 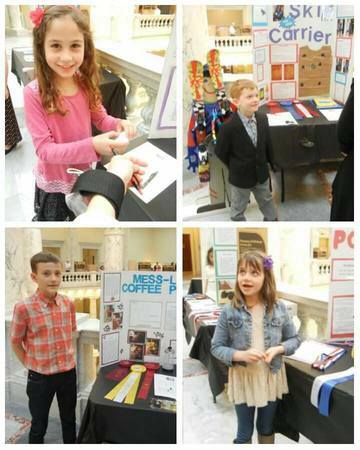 Young inventors from across the state came to the Capitol to share their creations with legislators. 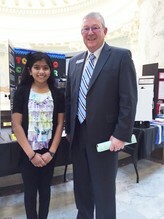 Durga Rajarajan shows Rep. Clark Kauffman her Tornado Catcher invention. Week 10 has been both busy and slow. Steady by jerks as they say. We’ve had long intense discussions on how to cover the 78,000 people that are in the health care gap, those left without health coverage. There are two drafts that are being discussed and we will have one or the other or a combination to consider on Monday. The best guess is still that we will be done by Easter. We will see. Significant legislation this week includes SCR 137 & SCR 135. These Concurrent Resolutions deal with water issues. 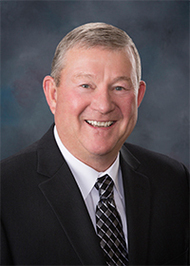 These water resolutions will have long lasting effects to all of Idaho. The REAL ID bill that was amended in the House and sent to the Senate has been amended in the Senate and was heard again in House Transportation Committee Friday afternoon. It passed out of committee with a do pass with amendments. SB 1389 the concealed weapons bill passed the House on Friday with a vote of 54 yes and 15 no. 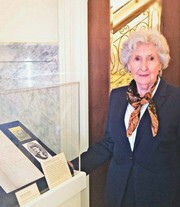 In celebration of Women's History Month (March), the “Women of Idaho” exhibit was unveiled this week at the Capitol. 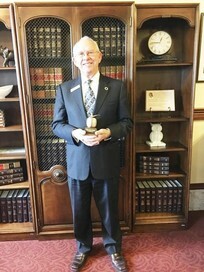 The exhibit can be viewed on the 4th floor in Statuary Hall of the Capitol building. Click Here for more information. I reported last week that the budget process was winding down. I also reported we had a little bill to celebrate The Year of The Cowboy. Somehow the two events seem to be connected. First the budget process is not moving as smoothly as I would like. Apparently The Cowboy thing has caused a “rodeo” each day when it comes to bills. We will finally finish up three pieces to make the K-12 funding whole as far as the elements needed to move the needs of our educators forward. Several other concerns just cannot seem to get out of committee, and hopefully, we are looking at the end of the session. Everyone in the house seems to be of a different opinion, always a problem, but more so this year. There was an opportunity to accept money (not anyone’s taxes) from The Forest Legacy. We had two budgets with a portion of that funding. The misunderstanding was so extreme that we will be re-doing those budgets next week. This does not look good for a Good Friday ending. 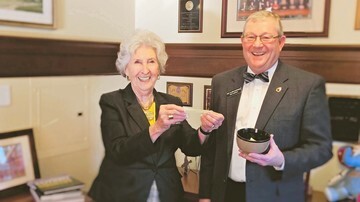 The program appeared to be a good way to keep healthy forests in production, on the tax rolls, and give access to the public for recreation. Obviously, not everyone agreed. 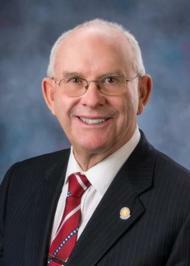 Kudos to the Speaker and Senator Baer for the body of work to address the health of our aquifers in the state. The Senate Resolutions were passed by the House on Thursday. This will put into place the funding we have ready to follow that will help manage the recharge of our aquifers. In fact, the activity is happening our Jerome County now prior to needing the water for other uses. The funding will allow the Water Board to continue to better manage this valuable resource. Because 60% of Idaho is owned or managed by the Federal government, we have constant efforts to gain more control. As a rule the reasons are valid. We do manage state lands much better. The last two years had brought terrific fires to the state, many of them originating on the federal land. There are two efforts in play now to gain some control of the lands which we believe would be better managed in state hands. H582 did pass the house and by all study should do no harm to all of us who want public access and use. The Forest Service has closed over 2,000 roads in the past few decades. We can hope this action will prevent that situation if we have a hand in management. And as always the nice events continue to give us pause. 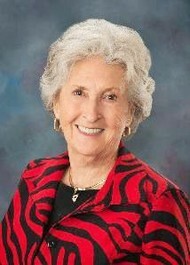 On Monday, the ladies in the legislature paused a moment to honor those stalwart women who served the state before us. On Tuesday a group of Idaho citizens of Turkish descent provided a little event at noon. The beautiful children danced while dressed in the native costumes. While we enjoyed the dancing, we were treated to a table of Turkish pastries and candies. It was a very nice and welcome break.